There’s a lot of talk in the news about outdoor air quality and how it can be mitigated. But, what many people fail to realize is that indoor air quality in Norcross, GA, can have adverse health and financial effects as well. Most places don’t have indoor air quality control measures, so it’s difficult to know just how bad the air is until you begin to suffer from one or more of these effects. Here are some possible effects of bad indoor air quality you should know about. Poor indoor air quality can cause numerous respiratory problems, especially those who are already prone to allergies or asthma attacks. Poor indoor air quality can partially be blamed on outdoor contaminants like pollen and mold, but it’s often a result of products that almost every home has. These products include volatile organic compounds present in many cleaning materials, upholstery, and carpeting. Pet dander is another common culprit. All these contaminants can irritate the respiratory system and cause runny noses, sneezing, coughing, and in severe cases, fatigue, headaches, and difficulty breathing. Severe symptoms like these could be due to carbon monoxide buildup. Prolonged exposure to poor air quality can cause long-term health problems. In addition to numerous asthma attacks, and the increased risk of children developing asthma, poor indoor air quality can increase the risk of high blood pressure, atherosclerosis, and other cardiovascular health problems. 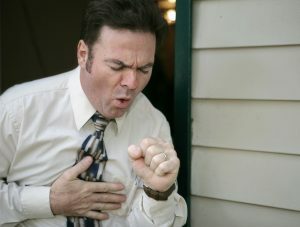 In addition to adverse health effects, your HVAC system can experience trouble from poor indoor air quality control in Norcross, GA. This is because the filter will likely be unable to keep up with all the particles it needs to filter, so these particles will enter the other components of the HVAC system. This excess dirt can wear down the motor, coils, and other components which will need frequent repairs or premature replacement. Finally, your bank account can take a hit from poor indoor air quality as well. Not only can you expect to pay more for medical bills and HVAC repair costs, you may actually have to pay more for your energy bills as well. An HVAC system that runs poorly will use more energy and cost you more in utilities.